It’s probably every child’s dream to fly. And why not, as they have learned much about the joy of flight in many children’s story books, such as Peter Pan and Tinkle Bell? To seat in front of the flight deck with all kinds of blinking instrumentation panels might just be pure fantasy for every child. . But not for 10 Nurturestars children who enrolled for the “Adventures in the Sky” Aviation Awareness programme during the December school holidays. 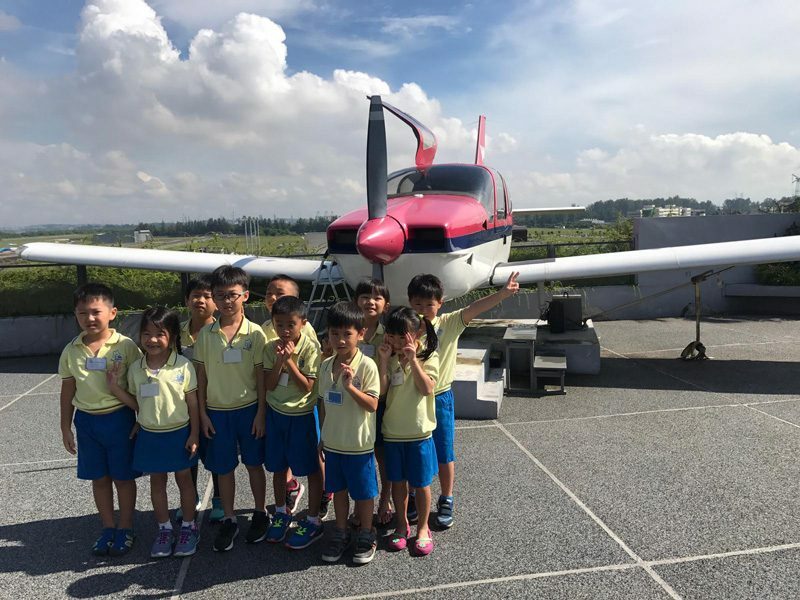 Their special holiday programme visit to a hangar at the Seletar Aerospace Park on 5 December 2018 was like a fairy tale come true. They sat in a “real” plane cockpit to learn about different types of airplanes, their various parts, and how to fly them. They also learned about the history of aviation. Although they did not “take off”, it was an eye-opener and the hands-on experience was full of fun. 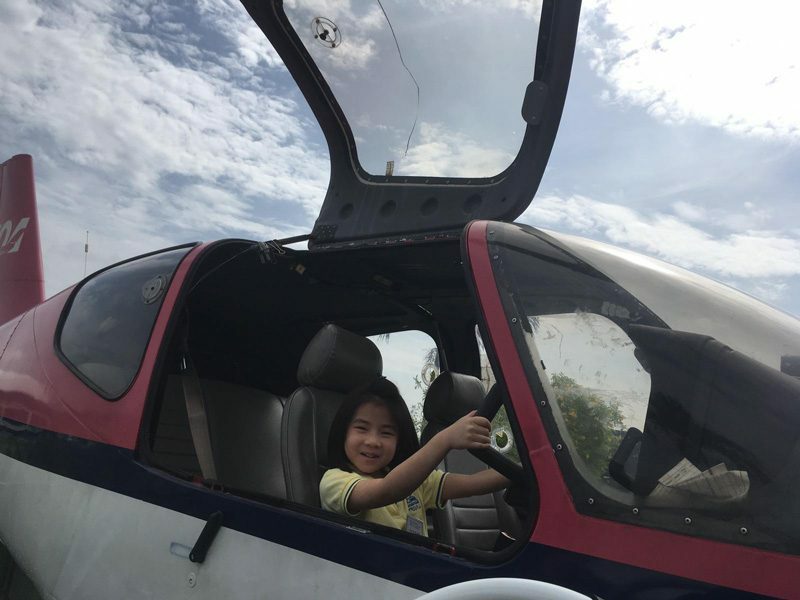 Perhaps, when they grow up, they could take to the skies as commercial or military pilots? And why not? A group photo with “my” aeroplane.